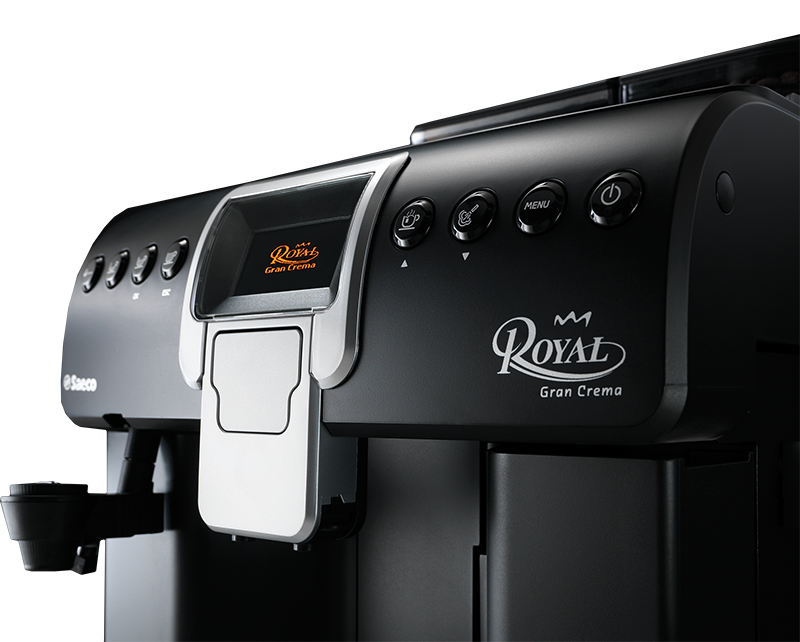 Royal Gran Crema exhibit a perfect mix of Saeco and Philips technologies.It is a bean to cup coffee machine and can dispense Espresso, coffee Americano and create excellent fresh milk-based beverages, such as cappuccino and latte macchiato thanks to the exclusive, integrated “Tuono” cappuccinatore. Enjoying a creamy and tasty beverage is a very simple matter. 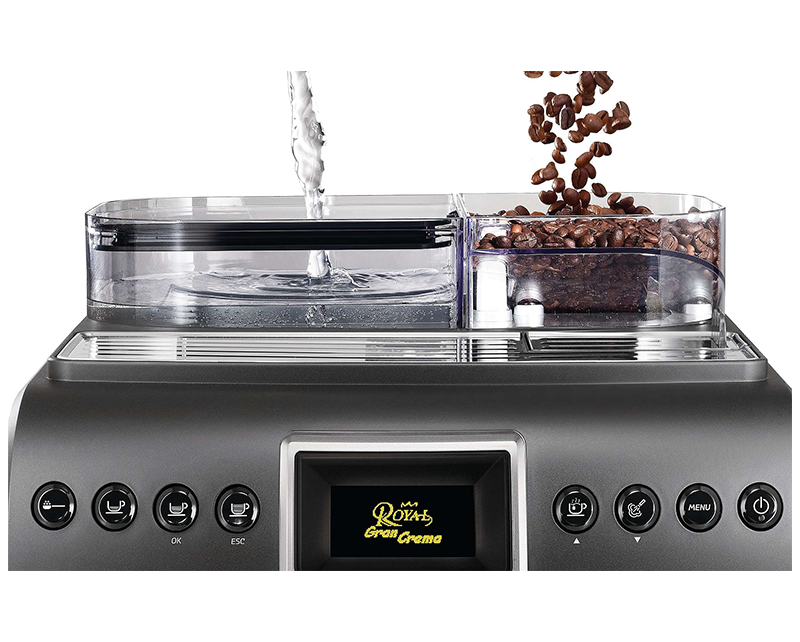 The cup warmer and the powder option that allows pre-ground coffee to be used, round off the experience of drinking a cup of coffee in the best Italian tradition. 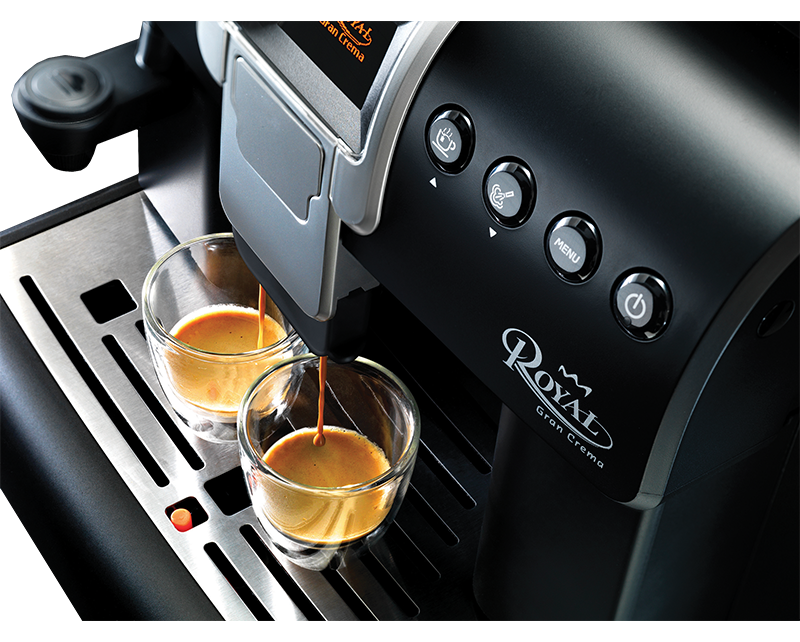 Just choose your drink and Royal Gran Crema shall deliver. 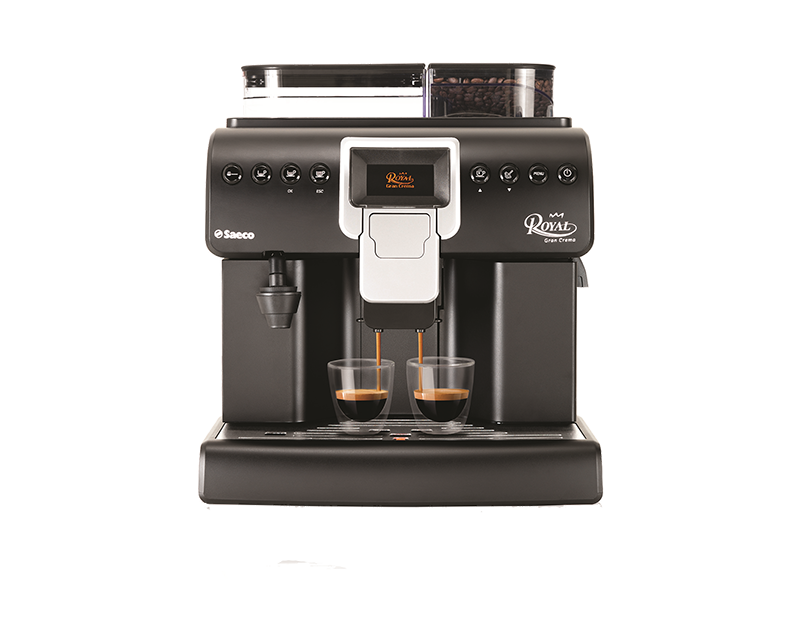 It is an ideal coffee machine for small locations serving an average of 30 cups per day.